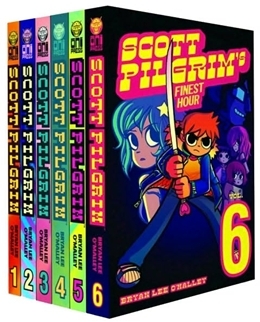 Looking for the perfect entry point into the world of Scott Pilgrim? Well, this is it, buddy! All six volumes of Bryan Lee O´Malley´s epic tale of a slacker´s quest to win the heart of the girl of his dreams by defeating her seven evil ex-boyfriends! All together in a beautiful new slipcase! Also includes an exclusive poster featuring an all-new full color piece by Bryan Lee O´Malley.